2018 saw some exciting camera and lens releases which, more than anything, gave an indication of the way camera technology will progress in the coming years. Mirrorless designs definitely made their stamp, along with dedicated lenses to fit this new format. 2019 is likely to see more advancements in this area along with updated versions of existing models. Below we will go through some of the possible releases that will come out from the top manufacturers and what each piece of kit will likely bring in terms of functionality and advancements. If these predictions come to fruition is another thing, but information and rumormongering has come from some of the best sources for we can spend our hard earned money on this year. 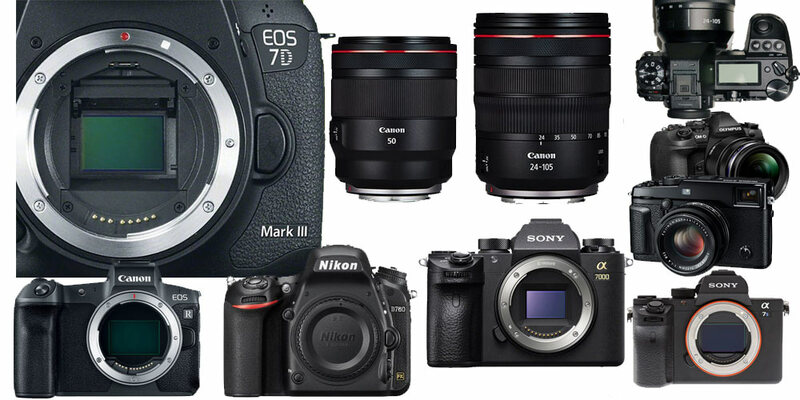 The Mark II model of the 7D came out four years ago, so 2019 may just be the year for an upgrade. The original was a great all-rounder, the second version proved popular for sports and wildlife with worthy progressions from the original. Times have now moved on and the next version has been a long time coming. Now that Canon has got a mirrorless design on the market, they can focus on their traditional DSLR range. There should be a resolution increased to 28-30MP, with a frame rate of 12 to 14FPS. The focusing system will most likely come from the 1DX II with dual pixel autofocus and also feature 4K video cropped like the 5D Mark IV. Prices will be around $2k. Carrying on the output from Canon’s mirrorless line, the EOS Rx. 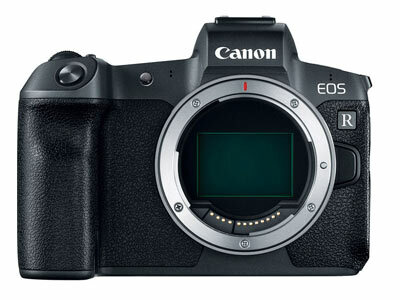 It’s more than likely to be a more pro-version than the R model, with higher resolution, two card slots, and better focusing. The big bone of contention multi-function bar will likely stay and the touchscreen may most likely be fixed. The resolution may be over 50MP at least, with even rumors up to 75MP. Canon already has a great range of DSLR lenses on the market, so it makes sense that any camera lens in 2019 will be an ‘R’ release. It’s early days on the lens front, so Canon could release many different options across the focal range. 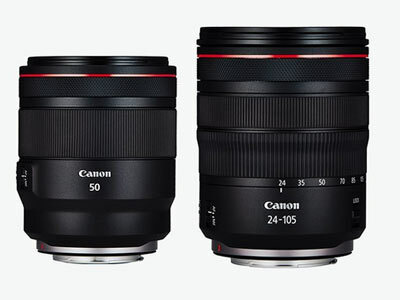 A 16-35mm f/2.8, a 24-70mm f/2.8 IS and a 70-200mm f/2.8 IS for high-end zoom lenses. Prime lenses could be an 85mm f/1.8 IS, 105mm f/1.4 for portrait focal lengths and a 90mm f/2.8 macro. There may also be some variations of kit lenses in the R range, probably as a medium focal length zoom. Nikon dropped a few new camera releases in 2018, so we may not see as many in 2019 as other manufacturers. 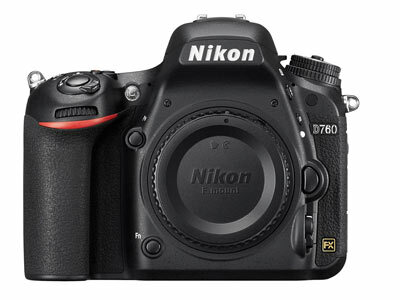 The D760 like the 7D Mark II really needs an upgrade and this may be the year. Resolution will probably be around 24 MP, with 4K/30 video and sensor stabilization. 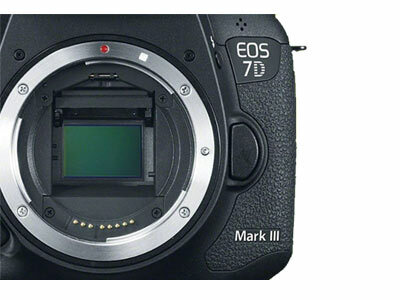 Dual SD cards, Wi-Fi and improved focusing system from the high-end cameras. Although we may not see any mirrorless bodies from Nikon in 2019, new Z lenses for the format are likely to be plentiful. A 20mm f/1.8, an 85mm f/1.8, zooms like a 24-70mm f/2.8, 70-200mm f/2.8 and a 14-30mm f/4. There may also likely be an impressive prime at 58mm f/0.95 MF. 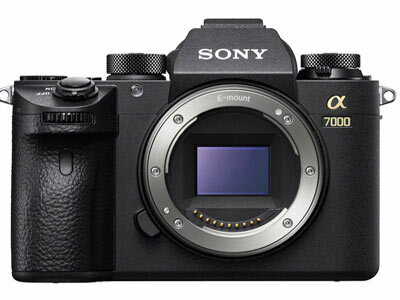 Arguably, the brand that has had mirrorless designs out the longest, it’s now time to focus on upgrading their crop/APS-C sensors. An increase in megapixels to 32, 10 frames per second mechanical 20+ electronically, use of the a9 body, 2 SD cards, 4k/60 video, and sensor stabilization. This should also include a newly released line of APS-C pro-grade lenses. A 16-55mm f/2.8 G, a 60mm f/0.94 AF and probably a bunch of telephoto primes at the longer end of the spectrum like a 105mm f/1.4 GM and a 500 and 600 f/4 GM. Sony’s video-centered camera should get an upgrade to counter some discrepancies in the last model. The focusing system will be improved to work better in low light, Use of the popular a9 body, 4k/60,4:2:2 internal video with other advanced video-centric features, a tilting touchscreen and sensor stabilization. Not that it’s an old design, but some of its features definitely need an upgrade. The mechanical to electronic shutter speed difference needed addressing, along with better focusing. The update will most likely be 24 megapixels, with better weather sealing and 4k/60 video. 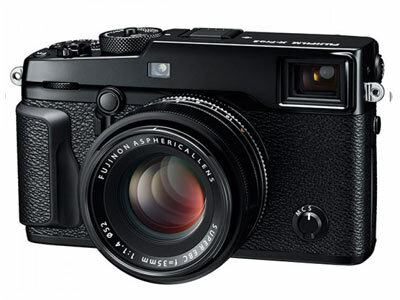 This is Fuji’s peculiar rangefinder camera if you compare it to the other similar designs on the market. 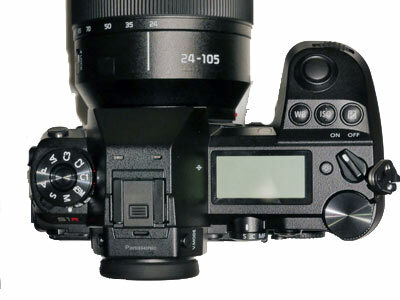 One of the oddities is its old school optical type viewfinder, with this upgrade problem having a hybrid OVF, 26 megapixels, X-T3 focusing system, 4k/60 video, and sensor stabilization. Everything for really true old school rangefinder fan. Just like the other guys, Fuji is producing full-frame lenses to accompany their mirrorless designs. Just like the other guys, 2019 will see them in a range of zooms and primes like a 16mm f/1, a 70mm f/1, and a 400mm f/2.8 and zooms like a 16-55mm f/1.8 and a 50-120mm f/1.8. Also in the megapixel wars, the Fuji GFX 100s has been announced and comes with an incredible 100 megapixels. That much resolution is going to be impressive, but the price point maybe around $8-10k. If Canon releases their own super high-resolution 75MP+ camera, this may just knock down the price for Fuji fans. Either way, super high-resolution is coming in 2019. 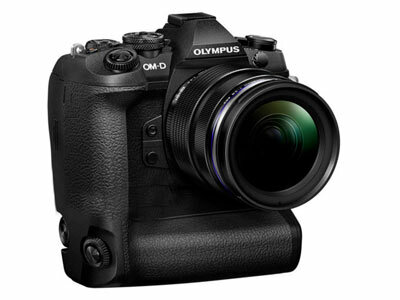 On the Olympus front, the EM1X is due to have some nice features that could appeal to video types. A built-in ND filter, 20MP 4/3 sensor at 18FPS, 4K/60 video, IBIS and high res handheld images. Just like the other manufacturers, Olympus will release a bunch of full frame lens. 35-100 f/1.4, a 150-400 f/4, a wide 8-16mm f/1.4, a 12mm f/0.9 and a 50mm f/0.9 prime. 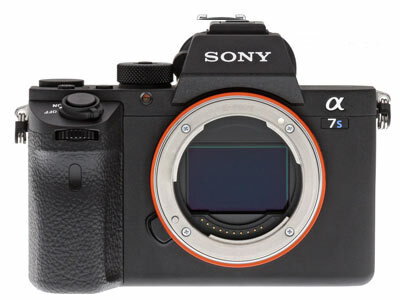 These two models will be up against the mirrorless designs from Nikon, Canon, and Sony and without the line-up of lenses, need to be priced more competitively than the rest. The two flavors will come in at 24 in 47 megapixels with sensor stabilization and 4K/60 video. There will probably be quite a few lens releases from Panasonic, all full frame covering all the typical focal ranges with both zooms and primes. If you’re a Panasonic fan, then probably lots of lens picks this year. In that respect, 2019 will see a continuation of the mirrorless push with both cameras and lenses and some ultrahigh resolution offerings as a glimpse of what’s to come.